Ring Road Iceland or Route 1 goes all the way around Iceland. The total length is 1332 kilometers (828 mi). The road is a national road and connects most of the inhabited parts of the country. There are so many people that think there is nothing like a good road trip. When driving or bicycling past volcanoes, icebergs, waterfalls and we are always looking for the right light. For photographers it is heaven. We have gone so often around Iceland by the Ring Road that we have lost count. We have done the Ring Road both by car and also a few times on our bicycles. The Road was opened in the year 1974 and you could for the first time actually drive or bicycle around Iceland. Route 1 or the Ring Road, in Icelandic Hringvegur, is a national road that as I said before runs around the island and connects most of the inhabited parts of the country. Ring road or Route 1 was completed in 1974, coinciding with the 1,100th anniversary of the country’s settlement. It happened when the longest bridge in Iceland, crossing the Skeiðará river in the south-east was opened. In the year 2010, we bicycled the Ring road for the first time. It is an experience we will never forget. You see some of the most popular tourist attraction on Ring Road Iceland. I can name a few like Seljalandsfoss and Skógafoss waterfalls, Dyrhólaey and the Jökulsárlón glacier lagoon, all by Ring Road. These are in the south and south-east part of the country. 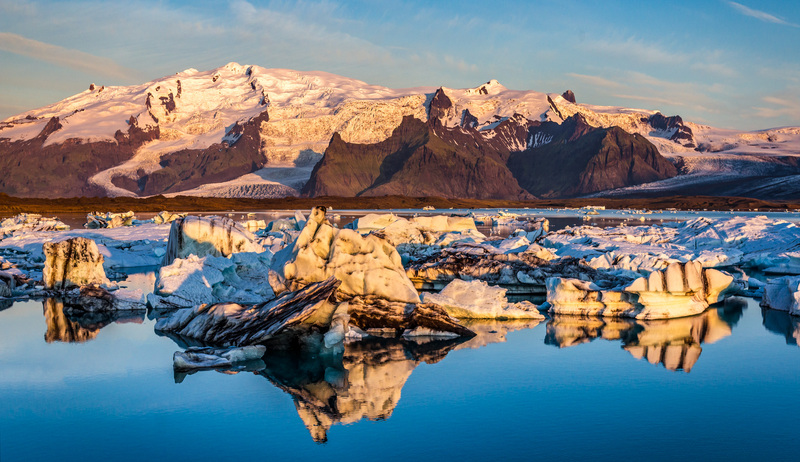 The beautiful glacier lagoon is probably the place that most tourists want to visit. Hidden spots are everywhere. We as tour guides know many of them. Take a look at our tours and book with us.